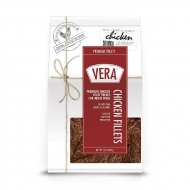 Vera’s Premium Chicken Fillet Treats provide a flavor experience. 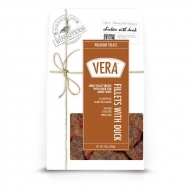 Vera’s Duck Fillets are a delicious and quality treat for your dog. 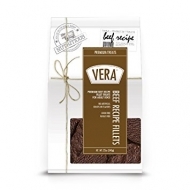 Untie a pack of Vera’s Beef Fillet treats and reward your pet today. 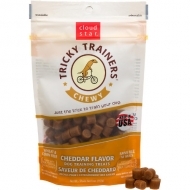 These treats are delicious, healthy, and everything your dog dreams of. 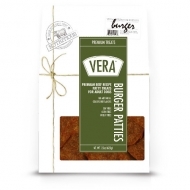 Vera’s Beef Recipe Burger Patties now allow your dog to enjoy one of our favorite foods - the hamburger! 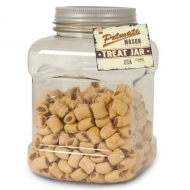 These are delicious and healthy treats are made with wholesome ingredients and are free of artificial flavors. 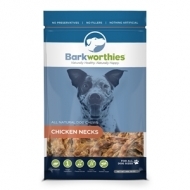 Barkworthies Natural Kangaroo Tails are an all-natural chew for dogs made of free-range kangaroo. 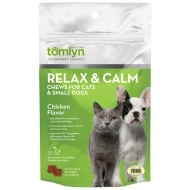 Highly digestible and hypoallergenic, this treat is perfect for dogs with allergies or sensitive stomachs. 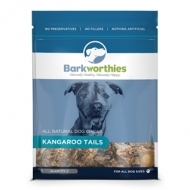 Low in fat and high in antioxidants, our Kangaroo Tails are a natural source of nutrients like iron, zinc and Vitamins B6 and B12. 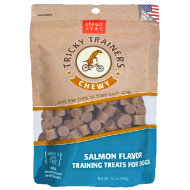 Chomping on these chewy treats also helps loosen built-up tartar and plaque, so it's a great way to promote good doggy dental health! Barkworthies Crocodile Bones are all-natural chews made from all-natural crocodile raised without antibiotics or hormones. A great alternative to pork, beef and chicken, these tasty treats are high in antioxidants. 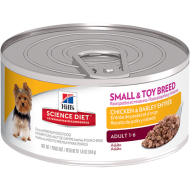 Unlike traditional rawhide which may cause intestinal blockage if swallowed, they're also highly digestible. 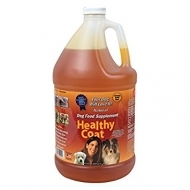 Our Crocodile Bones are loaded with lots of other benefits for your intrepid pet. 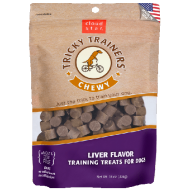 An all-natural source of glucosamine and chondroitin, these chews can help with joint and mobility issues. 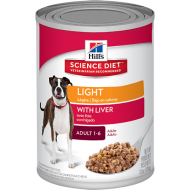 They're a wonderful source of Omega 3 & 6 fatty acids with immune boosting properties. 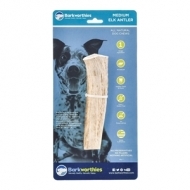 The chewing action while consuming our Crocodile Bones also helps prevent tartar buildup and promotes healthy teeth and gums. Hill's® Science Diet® Adult 7+ Chicken & Barley Entrée dog food has precisely balanced nutrition to sustain mobility and muscle mass. 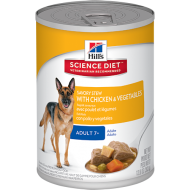 Contains high quality lean proteins to sustain lean muscle. 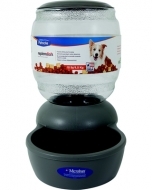 Promotes ideal body weight and healthy vital organs and is easy to digest. 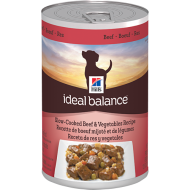 Hill's® Ideal Balance™ Adult Slow-Cooked Beef and Vegetables canned dog food is made with real beef and tasty vegetables, in a mouthwatering gravy. Natural ingredients in perfect balance.